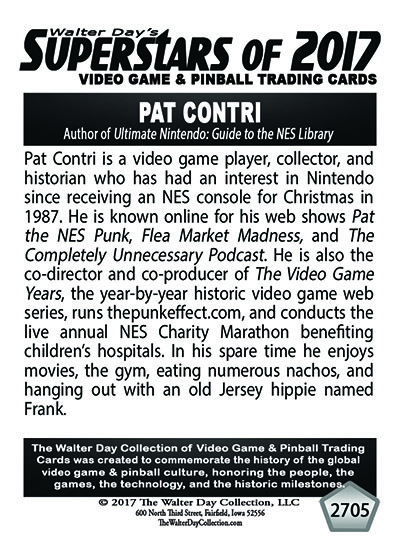 To honor Pat Contri for his important contributions to the gaming culture, this trading card and award were presented at the Classic Game Fest Trading Card Awards Ceremonies, July 29, 2017, in Austin, Texas. 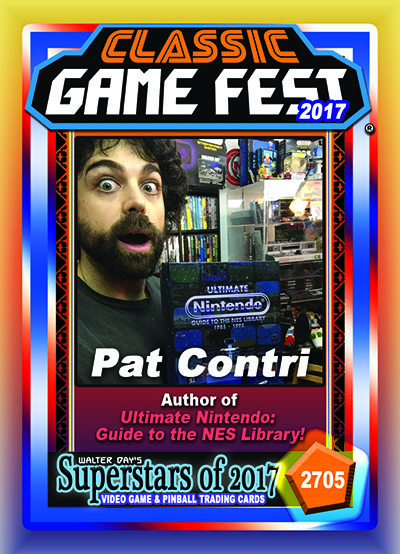 Pat Contri is a video game player, collector, and historian who has had an interest in Nintendo since receiving an NES console for Christmas in 1987. 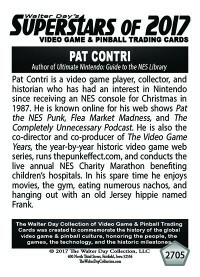 He is known online for his web shows Pat the NES Punk, Flea Market Madness, and The Completely Unnecessary Podcast. 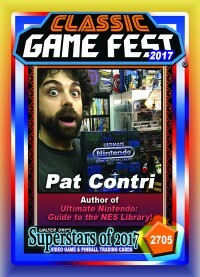 He is also the co-director and co-producer of The Video Game Years, the year-by-year historic video game web series, runs thepunkeffect.com, and conducts the live annual NES Charity Marathon benefiting children’s hospitals. In his spare time he enjoys movies, the gym, eating numerous nachos, and hanging out with an old Jersey hippie named Frank.